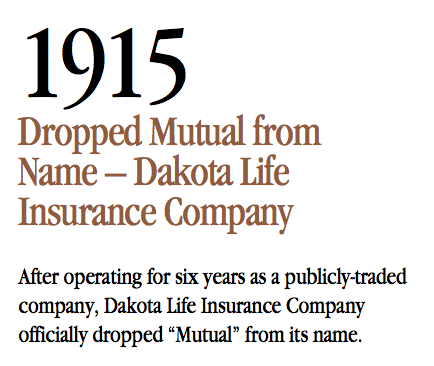 In 1915, the Dakota Mutual Life Insurance Company dropped "Mutual" from their name and became the Dakota Life Insurance Company. After operating for six years as a publicly-traded company, Dakota Life Insurance Company officially dropped "Mutual" from its name. You can read the story of the company becoming a 'publicly traded company' here. Later, in 1925, the company changed names again. 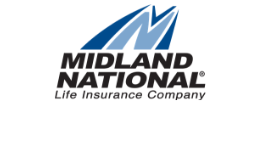 This time, becoming what they're known as today: Midland National Life Insurance Company. You can read all the posts involving name changes for the company here.